Your website’s speed can have major influence on your search rankings. 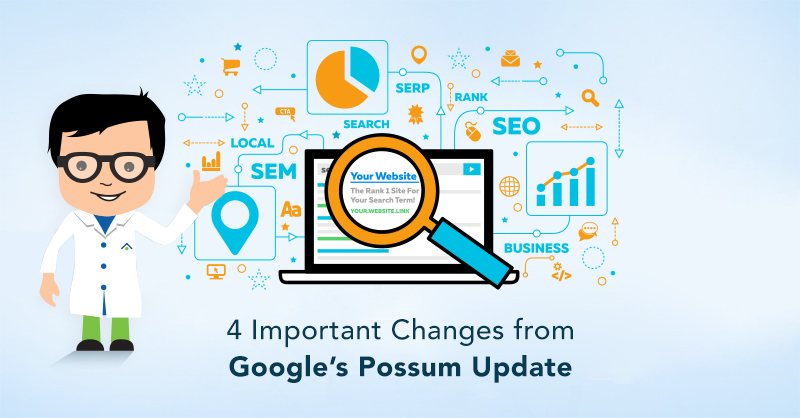 In turn, it can also be a big part of your overall SEO success. 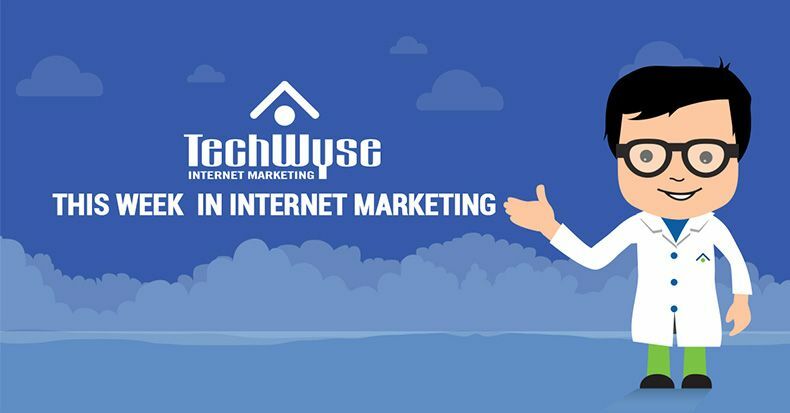 If visitors are having trouble navigating or even reaching a website or any of its assets due to speed issues, the website is bound to lose new or loyal visitors and won’t gain any from search, due to its lack of high-quality user experience. Google uses hundreds of factors to determine where your website ranks, and in 2010, website speed became one of those factors. In 2015, the search engine company also added the availability of mobile sites as a ranking factor. The logic being, if you don’t have a mobile site, Google users are probably better off tapping elsewhere, because Google wants users to have a good experience regardless of the device they use to get to your website. While page load time itself may not officially be as powerful of a Google ranking factor as the authority of the page content itself, one Moz study revealed that sites with faster “time to first byte” (TTFB) correlate with higher rankings. TTFB is the metric that measures how long it takes to receive the first byte of information from your web server. While TTFB isn’t as indicative of user experience as “full render time,” for example, it does make sense that in the name of efficiency, Google’s crawlers would evaluate speed using a metric that takes a fraction of the time to measure. 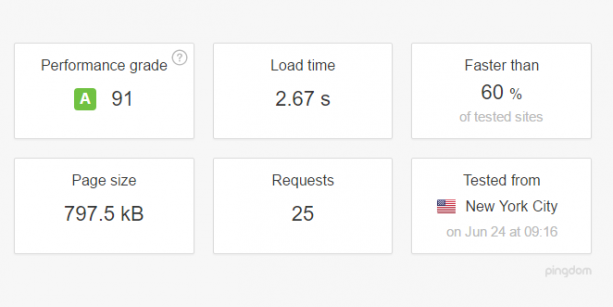 If you’re experiencing problems with your website’s speed and in turn, it’s SEO, try these seven ways to improve load timings. Google’s PageSpeed Insights tool is a great way to find out more about your website’s page speed. It shows speed and experience insights for both mobile and desktop with great detail on what the problem is and how to fix it. You can also get more specific and use Cache-Control parameters to set the length of time something is cached, based on file type. Pingdom is extremely similar to Google’s PageSpeed Insights tool, and it also gives highly in-depth insights and details of how to fix them. Pingdom shows you just about everything you would ever want to know about the performance of a page. 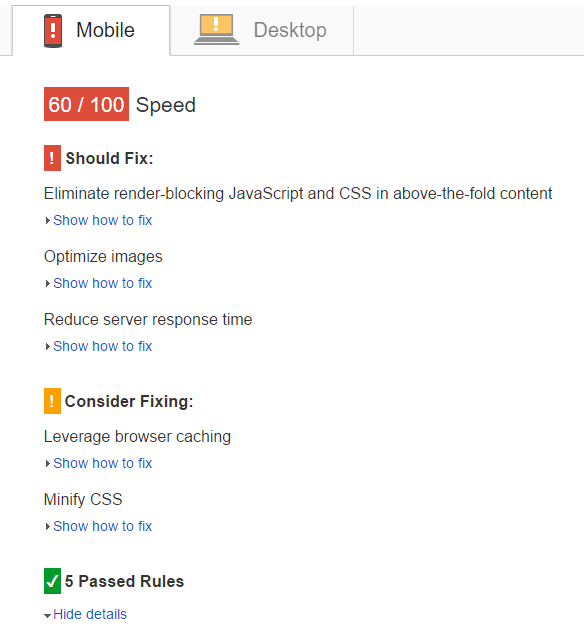 Pingdom also provides more information about how to make changes to improve site speed. I’d suggest checking out both, since they’re both free, quick and provide a lot of great information. Plus, you’ll get a comparison of site speed to help you see which areas need the most attention. When you’re using a shared server for hosting, whether through your local agency or major hosting provider, it can slow down your website – sometimes a little, sometimes a LOT. Shared servers are cheaper because they are like renting an apartment, where the apartment building is the server. When tons of websites are hit on the server at one time, (i.e. everyone in the apartment is taking a shower at the same time), the resources are strained, and load time is affected. It’s a good idea to upgrade your hosting package and/or server to improve the performance and speed of your website. Upgrading both would be ideal. A dedicated server is more expensive, but allows your website to be the only one on the server. You get more control over the server itself, and can make sure it has the strength to support the traffic and resources you have. Most websites are small enough to be okay with a shared hosting plan, but large websites like Facebook, for example, must have a series of dedicated servers to ensure smooth operation. If you’re not big enough to warrant a dedicated server, but you’ve outgrown the shared hosting, you may want to consider a virtual private server, or VPS. This is a hybrid of the shared plan, because more than one website sits on the server, but each account gets finer control over the configuration details of the server. It’s also a middle ground in terms of pricing with many hosting providers. Ask your current provider what upgrades they offer and how these can benefit speed, specifically. For example, Bluehost offers a dedicated hosting package. This is exactly what you need to make sure your website isn’t bogged down by all the others that your server has on them. A CDN service like Incapsula optimizes content to use significantly less bandwidth and improve speed on multiple levels through the use of strategic servers, globally. Using a content delivery network is key to making sure your website’s servers aren’t overloaded, causing the site to lag and slow down when visitors are on your site. This is especially important now that hosting companies are busier and more at capacity than ever before. Implementation of a content delivery network is one surefire tip to making sure your website and its contents always gives a great user experience. A website’s images can be optimized for speed and SEO by compressing images and making them consistent. Google provides an image publishing guidelines support page and a video tutorial for other tips. Google’s guidelines help you navigate the waters of image optimization by informing you about preferred formats, different file types, sizes and more. 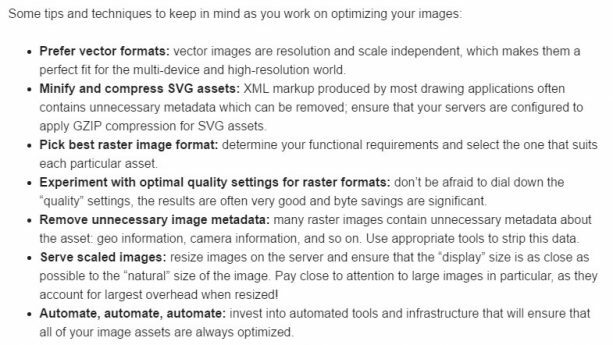 Image optimization is especially critical if you have an image-heavy website. Consider using galleries that allow thumbnail images to load quickly, and let the user choose to see a larger version of the photos he or she is most interested in. If you must host print-quality image files, optimize it for the web, and then include the print-quality version hosted off your sever for download. There are also many plugins and tools to assist with this. If you are working with WordPress, the EWWW Image Optimizer plugin may be exactly what you need to get your WordPress website’s images optimized. WP Smush is also a popular plugin for WordPress. If you’re working with something other than WordPress, just search Google to find a great tool for your platform. Once you’ve completed image optimization, your website’s pages will load faster, you’ll use less bandwidth, have faster backups and your website visitors will be much happier. If you have a large, extensive and complicated database in your website, it’s vital to optimize it to improve site speed and SEO. If not written and programmed efficiently, it will affect rankings, user experience and more. Before making code changes and analyzing efficiency, be sure to backup your database. Here’s a list of tools you can use to do this, and WordPress provides easy instructions on how to do so in their platform. Once you’ve backed up your site’s database, you’ll want to run queries to find and fix inefficiencies in your database and its code or hand the task to a programmer to do so. Focus on consistency, quality and tightness. There are also some great tips in this Search Engine Land post about how to optimize your database. If you don’t think your database needs to be optimized, consider this. Each time you add or delete a plugin on your WordPress site, you may be leaving behind a clutter of tables you’re no longer using. While the tables must remain in the database if you want to keep settings in tact (in case you later decide you want to reactivate the plugin), too much of this bloats the database files, and slows down the load time. When your HTML code isn’t up to speed, your website isn’t either. It can be difficult to keep up to speed, since technology moves at such a rapid pace. Either way, it’s important to get your HTML code tight, consistent and without error to improve your website speed and SEO. 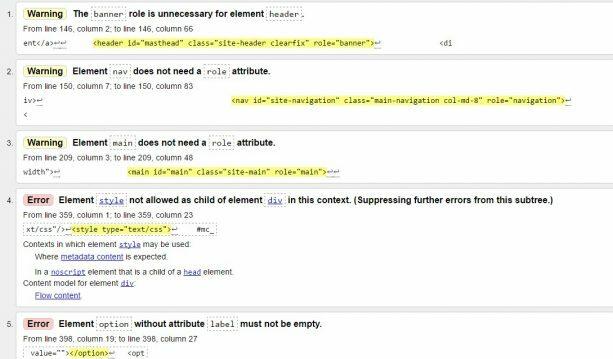 Optimize your website’s HTML code by using a tool like W3C Markup Validation Service. This super handy tool gives you any HTML errors after you simply put in your website address. It shows alerts in two forms: warning and error. Ideally, you’ll want to fix all of them. The best part about the W3C Markup Validation Service is that it explains and tells you exactly what you need to remove or fix. Now, you can easily identify and fix HTML errors if you’re a pro, or just send them over to your website developer to implement. Don’t just assume that because you have a killer WordPress theme, the HTML doesn’t need to be validated. Most of the themes out there from reputable vendors take pride in their optimization for load time and SEO, but every developer has his or her own coding style. Go ahead and run the HTML through the validation tool to see if there are any improvements you can make. 301 redirects tell search engines where to go to find already indexed content that has been moved to a different site address. As such, they are sometimes necessary in the world of SEO, but too many of them can negatively affect your other optimization efforts, because they add to your page load time. Check for this issues in your website by crawling the website to generate the entire list of 301 redirects on your site, using a tool like Screaming Frog. This free software is super easy to use and tells you where all of your 301 redirects are. Then, you can decide whether the indirect link is worth saving and make permanent changes where necessary. A redirect chains is a series of redirects going from one URL to another, forcing search engine bots, and users, to sit and wait until all the redirects are processed. Too many steps in the chain can also cause a loss of authority, which can kill your rankings. Screaming Frog will allow you to see these chains, so you can make adjustments and either cut links out of them, or eliminate them entirely. Use your Google Search Console to check for all the internal links on your site. Download the results into an Excel spreadsheet. Add your domain to the front. Now, copy that list, and paste it into Screaming Frog under Mode > List. It will now crawl all the links from your internal link report so you can check for and address any 301 redirect issues there. 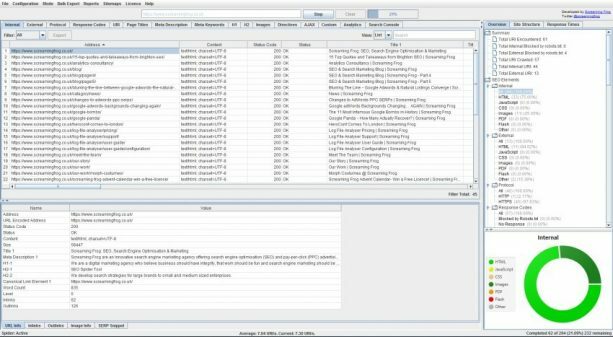 Keep a list of the links in an Excel file. Then, check your Google Analytics data periodically to see which, if any, of these were hit. Remove any redirects that are no longer needed. Canonical tags that redirect are similar to redirect chains. To fix this, after you crawl with Screaming Frog, look for the Directives tab and then Canonical Element 1. Copy that list and re-crawl with the list mode you used when checking your internal links. Look for any that have a status of 301, and resolve them. With these seven tips for improving your site’s speed and SEO, it’s easy to increase your website’s presence on the search engines and improve its user experience. These small changes can make a great impact on customer retention, customer acquisition rate and overall growth of loyal website visitors. Happy SEO-ing! 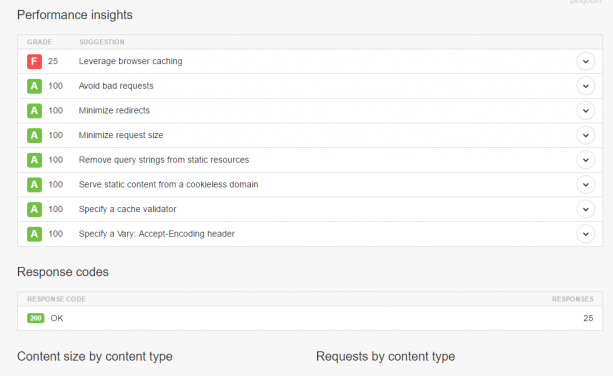 Thanks for such a great post, really helpful tips for speed optimizing sites.